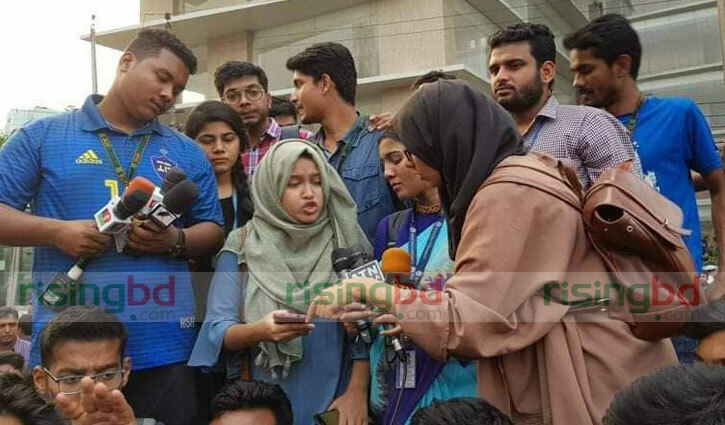 Staff Correspondent: The students who were demonstrating on Tuesday called for boycotting classes in all the educational institutions across the country on Wednesday to press for their eight-point demand, including maximum punishment of the bus driver responsible for the death of one of their fellows in a road accident in the capital. Abrar, son of Brig General (retd) Arif Ahmed Chowdhury of Bashundhara area and a honours 1st year student of International Relations Department of the university, died as a ‘Suprovat Paribahan’ bus ran him over in front of the Bashundhara Gate in the morning. Angered by the accident, students took to the street and blocked the road in front of Jamuna Future Park, halting the traffic movement from Kuril Bishwaroad to Bhatara.